Tennessee Gov. 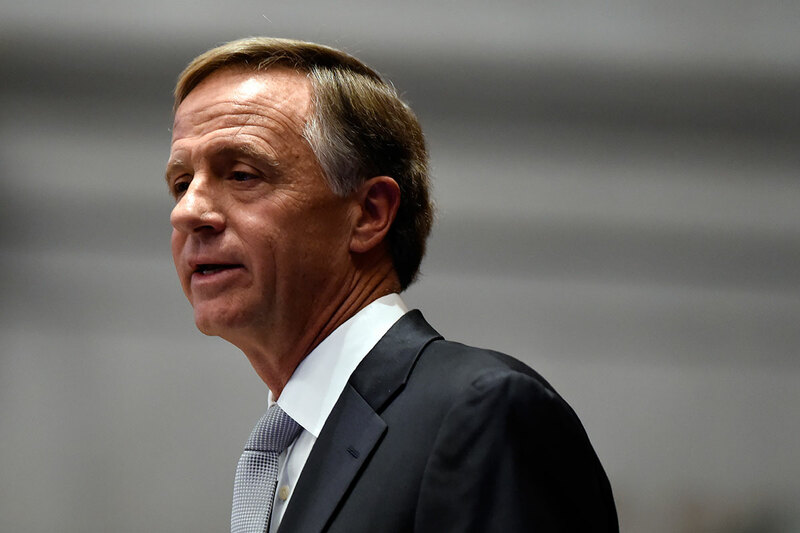 Bill Haslam signed a law April 18 that would prohibit state funds from being used to enforce electronic logging device regulations for certain agriculture-related hauls. The law pertains to “any motor vehicle transporting nonhazardous materials for farm purposes that does not travel outside the boundaries of the state,” according to a fiscal memorandum outlined by the Tennessee General Assembly’s Fiscal Review Committee. State Sen. Frank Niceley, a co-sponsor of the bill, introduced the legislation, which moved through the state Senate under the title SB 1936 on Jan. 29. A companion House bill, sponsored by Rep. Dale Carr under the title HB 1962, was introduced the same day. Agriculture haulers across the country currently operate in a state of reprieve from the ELD mandate, which took effect Dec. 18. In March, the Federal Motor Carrier Safety Administration announced a 90-day extension of an existing 90-day waiver from the rule for those involved in the transportation of agricultural cargo. The Tennessee Department of Safety and Homeland Security receives more than $4 million in federal reimbursement funds for enforcing ELD regulations. According to the memorandum, this funding supports the Highway Patrol Division’s enforcement efforts. To receive this federal reimbursement, the state must match 15%, or just more than $608,000. Because ELD requirements currently are waived for agriculture haulers, Tennessee has decided to stop using these funds to support ELD enforcement targeted at these drivers. The ELD rule and hours-of-service laws are the scourge of many agriculture haulers, whose cargo can spoil or perish if they experience delays or insufficient breaks. HOS laws dictate when and how long truck drivers can operate. The purpose of HOS laws is to manage the amount of time drivers are on duty. The 14-hour driving window says drivers are allowed a period of 14 consecutive hours in which to drive up to 11 hours after being off-duty for 10 or more consecutive hours. Federal lawmakers repeatedly have asked Transportation Secretary Elaine Chao to consider a longer-term solution to the HOS difficulties agriculture haulers contend with. “This law makes sense for the pool of drivers who deal in intrastate ag hauling,” Tennessee Trucking Association President Dave Huneryager told Transport Topics. Tennessee is one of several states that has filed legislation to either overturn or relax the parameters of the ELD rule. Like Tennessee, Idaho’s legislation also pertains to livestock haulers. Idaho’s Senate issued a joint memorial in February that asks livestock haulers to be permanently spared from the ELD rule. “[The Federal Motor Carrier Safety Administration] has not considered the special circumstances surrounding the transport of livestock, fish and insects, as these are the most perishable and fragile of all commodities and must be transported in the most efficient, timely and expedient manner as possible, and conformity with the ELD mandate and existing hours of services rule would result in delays off-loading and reloading of livestock and even the addition of a second driver on short hauls,” Idaho’s legislation states. This law makes sense for the pool of drivers who deal in intrastate ag hauling. The Missouri and South Dakota legislatures have issued bills urging federal lawmakers to overturn the ELD rule entirely. Norita Taylor, spokeswoman for the Owner-Operator Independent Drivers Association, said the organization supports both bills. Niceley, who introduced the recently passed ELD legislation in Tennessee, said he hopes other states continue to file similar legislation.